Origin Native to Indian Subcontinent, Southern China, Southeast Asia, Papua New Guinea to Northern Australia Northern Territory, North of Western Australia and Queensland. It is also introduced to other tropical regions in the South America. Cluster Figs (Ficus racemosa), also called Cluster Fig, Cluster Tree, Cluster Fig Tree, Goolar Fig, Country Fig and Redwood Fig, is a medium sized tree native to Indian Subcontinent, Southern China, Southeast Asia, Papua New Guinea to Northern Australia Northern Territory, North of Western Australia and Queensland. It is also introduced to other tropical regions in the South America. Udumbara, Nayodumbara and Phalgu are the three varieties of Cluster figs. The tree bears a subglobose and pyriform fruit of about 2.5-5 cm diameter. The bark has the thickness about 8-10 mm. Cluster fig is an erect, laticiferous, deciduous and evergreen tree which grows upto 25-30 m in height with a trunk diameter as 60-90 cm. It has long, irregular and brownish roots. The bark is smooth, greyish to brownish which has 8-10 mm as a thickness. Leaves are alternate, elliptic to obovate in a pale green of size 10-14 × 3-7 cm. Fruits are subglobose and pyriform shaped which has 2.5-5 cm as a diameter in dull reddish to dark crimson. Each fruit has lenticular seeds of 1 mm long. The serving size of 100 grams covers 81.9 grams of water, 1.3 grams of protein, 0.6 grams of total fat, 0.6 grams of ash, 0.21 grams of nitrogen and no carbohydrate. 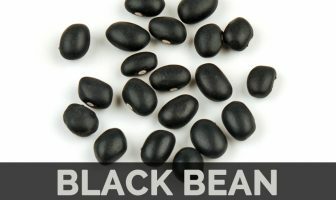 It covers 30.77% of Vitamin B2, 16.25% of Iron, 11.11% of Copper, 10.81% of Potassium, 8.335 of Magnesium, 7.20% of Calcium and 6.71% of Phosphorus. 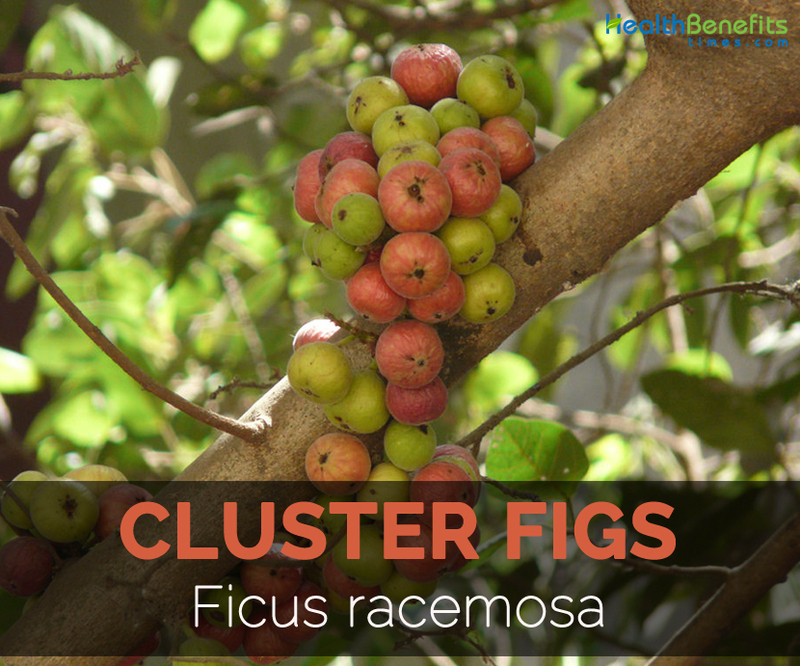 Cluster fig is loaded with various medicinal properties which is beneficial for the health. It consists of phytochemicals which helps to prevent and aid the diseases. It is used to treat muscular pain, pimples, boils, cuts, hemorrhoids etc. It is anti-diabetic, antioxidant, anti-asthmatic, antiulcer, anti-diarrheal and anti-pyretic action. The juice extracted from the fruit is used to treat hiccups. The decoction made with the mixture of 250 gm, 1 gm phitkari and 3 gm catechu is used to gargle that effectively treats any sort of mouth problems. The gum paste is applied to treat the swelling of ears, muscles caused due to inflammations. The eruptions on leaves should be grinded with 3-4 gm of milk which is strained and mixed with honey. The patient should be given this mixture twice a day which helps to prevent the pus in the boils and treats. The eruptions should be grinded with honey and sugar which should be provided once a day. This helps to cure Multinodular tuberculosis. With the help of cotton, place its milk on the sinus. The cotton should be changed regularly. This remedy helps to treat sinus in a few days. The intake of fruits helps to treat stomach pain. About 5 to 10 ml of juice should be provided to the Leucorrhoea patient twice in a day along with sugar candy. 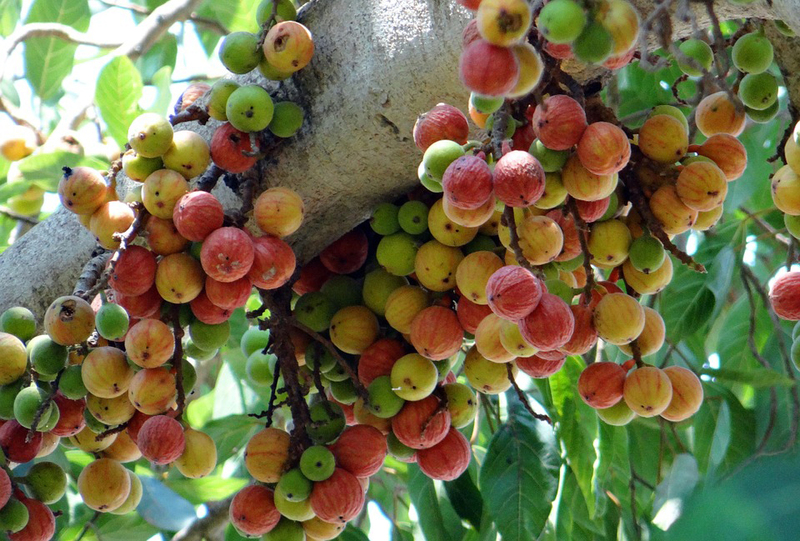 The milk which is infused with fruits of Cluster fig should be consumed with meals. This prevents abortion and stimulates the fetus growth. 10-15 ml of grinded bark of Cluster fig should be cooked in 250 ml of water. It should be cooked till the water becomes half. The strained solution should be added 1.5 gm of white cumin seed powder and sugar candy. It should be given twice a day. This helps to treat Metrorrhagia. Honey should be added to the grinded leaves of Cluster fig. This paste helps to cure Pitta. The patients of bronchial asthma and bronchitis should consume the fruits by making a squash. It is helpful for them. The dried peel of Cluster fig’s fruits should be grinded and sugar candy should be mixed with it. The people with urinary disorders should be given 6-6 gm of this powder along with the cow’s milk twice in a day. In India, this plant is used to cure diarrohea, dysentery, stomachache, diabetes and piles and used as carminative, anticancer and antioxidant agent. Fruits are considered as astringent, carminative and stomachic which provide relief from diarrhea, dysentery and treat diabetes. The paste made from the fruit paste is an aid for visceral obstruction, constipation and regulates diarrhea. Seed paste is used to cure measles, smallpox and diarrhea. The mixture of powdered leaves powdered and honey used to cure bilious infections, diarrhea, and dysentery and used as a mouth wash.
Cow milk and leaf latex are mixed which is useful for boils, measles and blisters. The juice of leaf juice is used to massage hair. 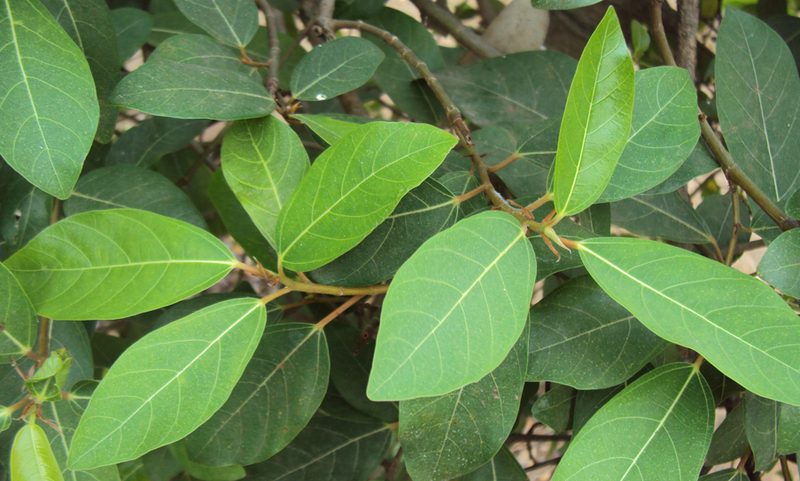 The infusion made from leaves is used to treat menorrhoea. The traditional healers use the milky sap as anti-inflammatory agent for mumps and inflammation. The milky sap is used to treat diarrhea, stomach ache, piles, dysentery and cholera. Bark has astringent properties which are used internally to treat menorrhagia, dysentery and haemoptysis. The decoction made from bark is used to treat various skin ailments, diabetes and ulcers. It is used as a poultice in inflammatory boils/ swellings, burns. The powdered stem bark is used to enhance the milk secretion for the lactating mothers. In Sri Lanka, the paste made from stem bark is used to cure the skeletal fracture. In Thailand, the root is used to cure dysentery and pyresis. The sap of root sap is used as an aid for chronic wounds, heat stroke and malaria. It is used in Ayurved to treat fractured bones, heavy periods and diabetes. The topical application of latex is applied on boils, cuts, muscular pains, scabies, pimples and hemorrhoids. The paste of tender leaf buds is applied to the skin to enhance the complexion. The plant is considered to be anti-diabetic, astringent, anti-asthmatic, antioxidant, anti-inflammatory, antiulcer, anti-diarrheal and anti-pyretic properties. The unripe fruit bark and leaves provides relief from flatulence, stimulates appetite, assist digestion and eliminates parasitic worms. 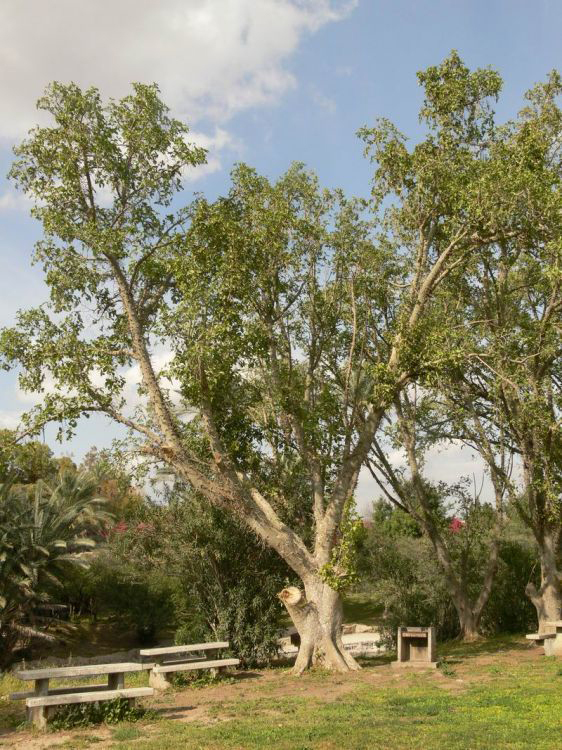 The bark of Cluster fig is grinded on a stone with water which is applied to the swollen areas. In India, the paste is made from the bark rubbed on stone with which helps to cure the boils and mosquito bites. It helps to cure asthma, bronchitis, laryngitis, spleen and kidney diseases. The tree milk helps to eliminate the pain caused due to hand and feet blisters. In bleeding gums and mouth ulcers, the gurgles with the extract of the bark are very helpful. The figs are added to the side dishes and preserves as a vegetable. 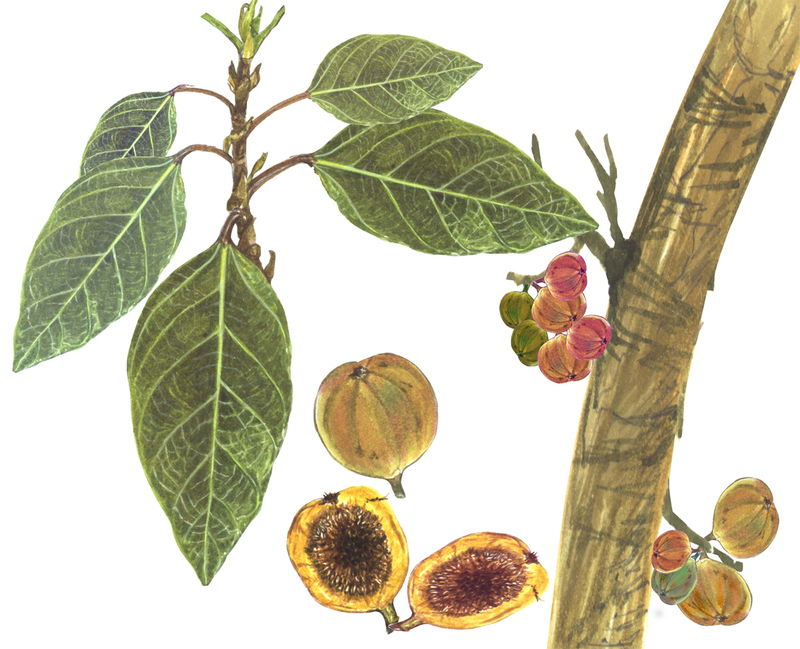 The stem bark was used as an ingredient in the nutra tea to have a beneficial effect. The paste made with the inner side of the bark is applied to the freckles and pimples. It helps to reduce them effectively. The application of the paste made with the Cluster fig and honey helps to maintain the skin tone. The intake of 10-15 ml of juice extracted from Cluster fig helps to cure dysentery. Stomach aches could be treated if the Cluster fig is consumed with ajwain and rock salt. The latex should be applied on the heels to have smooth and supple feet. Cook 400 ml of water with 10 gm of Cluster fig bark. Then add a pinch of alum and strain. Rinse the mouth with this solution to get rid from oral infections. About 7-14 ml of leaves juice of Cluster fig should be consumed twice in a day. It helps to treat Dhatu Kshaya. The topical application of root’s latex helps to provide relief from cuts and muscle pain. An unripe fruits are added to culinary purposes such as pickles, sambar, chutney, curry and Sabji. The unripe fruits are preserved in salt. 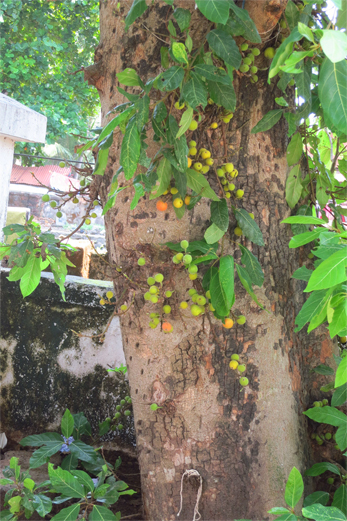 The bark is used to make Kashayam. Ripe fruits are consumed fresh or preserved in the honey for the future use. 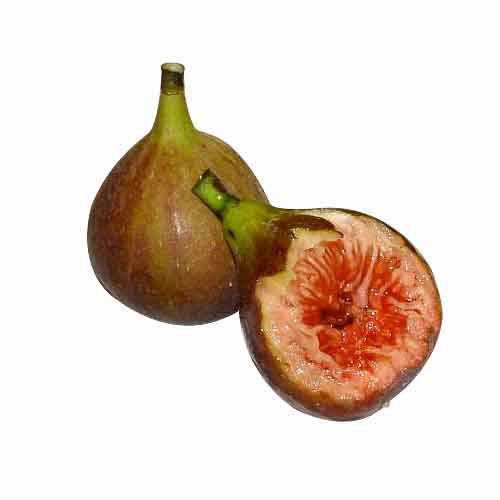 The fresh figs are added to cakes, salads and ice-creams. The dried figs are added to stews, soup and lamb meat. Dried figs are added to breakfast cereal, cakes, muffins, pies, sandwiches and cheesecakes. Those who are allergic to Cluster figs should not use it. The ripe fruit should be avoided in the culinary uses as it may worsen the condition of intestinal worm infestation. One should consult the doctor for using Cluster figs during pregnancy. Covellia lanceolata (Buch.-Ham. ex Roxb.) Miq. Ficus lanceolata Buch.-Ham. ex Roxb. Ficus trichocarpa f. glabrescens Engl. Ficus vesca F.Muell. ex Miq. Calories from Fat 5.4 Kcal.